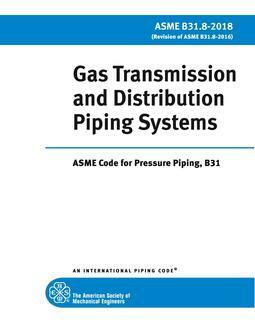 This Code prescribes requirements for the design, materials, construction, assembly, inspection, and testing of piping transporting liquids such as crude oil, condensate, natural gasoline, natural gas liquids, liquefied petroleum gas, carbon dioxide, liquid alcohol, liquid anhydrous ammonia and liquid petroleum products between producers' lease facilities, tank farms, natural gas processing plants, refineries, stations, ammonia plants, terminals (marine, rail and truck) and other delivery and receiving points. 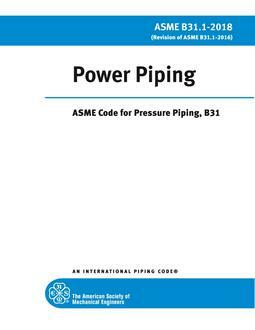 Piping consists of pipe, flanges, bolting, gaskets, valves, relief devices, fittings and the pressure containing parts of other piping components. It also includes hangers and supports, and other equipment items necessary to prevent overstressing the pressure containing parts. 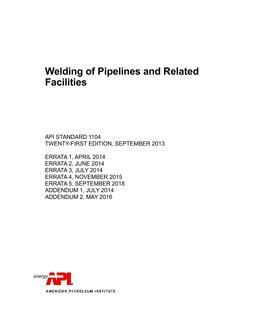 It does not include support structures such as frames of buildings, buildings stanchions or foundations Requirements for offshore pipelines are found in Chapter IX. Also included within the scope of this Code are: (A) Primary and associated auxiliary liquid petroleum and liquid anhydrous ammonia piping at pipeline terminals (marine, rail and truck), tank farms, pump stations, pressure reducing stations and metering stations, including scraper traps, strainers, and prover loop; (B) Storage and working tanks including pipe-type storage fabricated from pipe and fittings, and piping interconnecting these facilities; (C) Liquid petroleum and liquid anhydrous ammonia piping located on property which has been set aside for such piping within petroleum refinery, natural gasoline, gas processing, ammonia, and bulk plants; (D) Those aspects of operation and maintenance of liquid pipeline systems relating to the safety and protection of the general public, operating company personnel, environment, property and the piping systems.